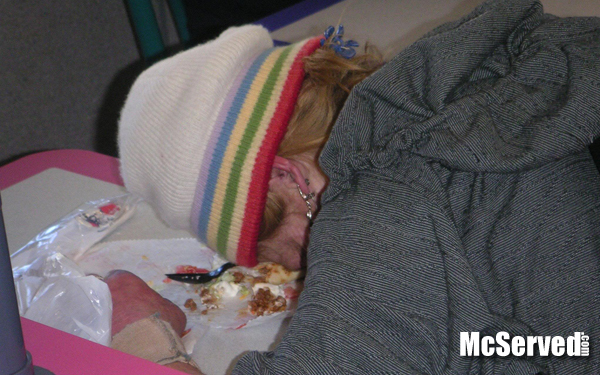 PASSED OUT LADY didntevenfinishherfries – McServed: Getting Served McDonalds Fast Food Funnies, Laughs and More! A couple of days ago I boghut the book and I just love it. Did you notice how heavy it is? In weight? Camilla, thank you for that link to Illustrated Woman.I just watched the video and inexplicably am teary eyed. Sometimes my heart feels so full. Makes me want to put paint to brush to paper.